The Lexus IS Saloon isn’t a new kid on the block, having been around since 1999. It doesn’t seem like that long ago, but that’s now getting on for twenty years, so Lexus has had plenty of time to have a fair crack at producing something strong for customers looking for something in this sector. This new Lexus IS is a mid-cycle model face-lift, so there are no drastic changes per se, just alterations and added refinement to an already solid recipe. It is something a little different, with striking looks grabbing the attention of voyeurs and a rejection of diesel engine technology in favour of a hybrid powertrain. How Does The New Lexus IS Saloon Perform? As with nearly all Lexus models, the new Lexus IS is all about providing the most comfortable driving experience. Of course, there is a little sporting pretense within the new Lexus IS, but the overriding sensations are of comfort and luxury. There are two engine options available, a petrol only 2.0-litre unit, but nine out of ten Lexus customers are expected to opt for the petrol-hybrid unit that mates a 2.5-litre four-cylinder petrol engine to an electric motor, giving 223PS. The performance isn’t remarkable, but it is plenty quick enough for most people. Zero to 62mph takes 8.4-seconds, and there is a top speed of 125mph. Statistics aren’t everything, and we think the new Lexus IS feels faster than it actually is. The petrol-hybrid power provides a particularly quiet drive, and it is attached to an eight-speed automatic gearbox. The transmission is electronically controlled and doesn’t shift like a traditional ‘box, meaning you get a very slick experience from behind the wheel. With a quiet engine and smooth gearbox, all you need mechanically after that is exceptional ride comfort, and the new Lexus IS delivers exactly that. We drove it on some very bumpy and rough Italian road surfaces, but we didn’t feel too upset because the suspension and ride quality are fantastic. The feel of refinement and well-being is the new Lexus IS’s biggest strength, but the gearbox doesn’t really lend itself to athletic driving. Lexus is different to almost all motor manufacturers as it has turned its back on diesel engines. There are no oil-burner offerings for the new Lexus IS, and this is because the Japanese automaker believes that hybrid technology is the way forward. We certainly can’t argue that the company has created an efficient saloon. Our test car gives out only 101g/km of CO2, and is capable of over 60mpg, though you’ll have to drive like a saint to get it. 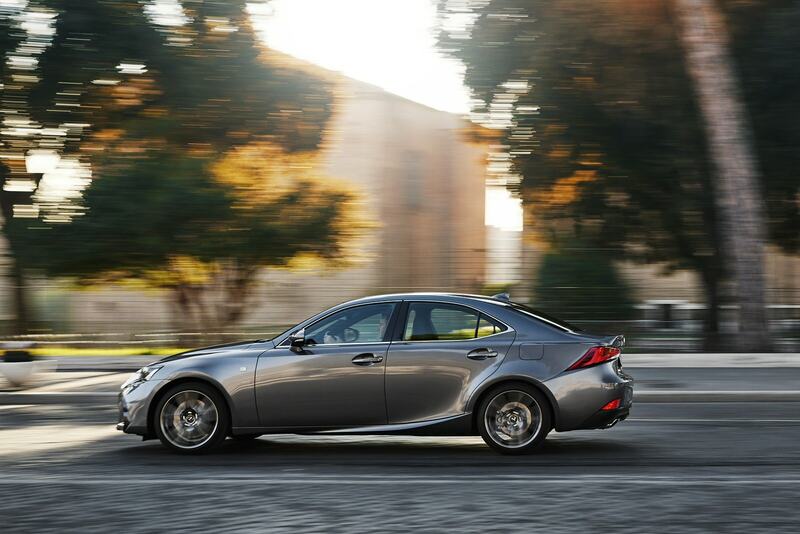 Over short distances, the new Lexus IS is even capable of running on electric power only. It is often thought that Japanese car makers are a bit behind when it comes to interior design and quality. Lexus proves that this is simply not the case, though, delivering a delicious interior space that feels every bit as luxurious as you would want a premium compact saloon too. 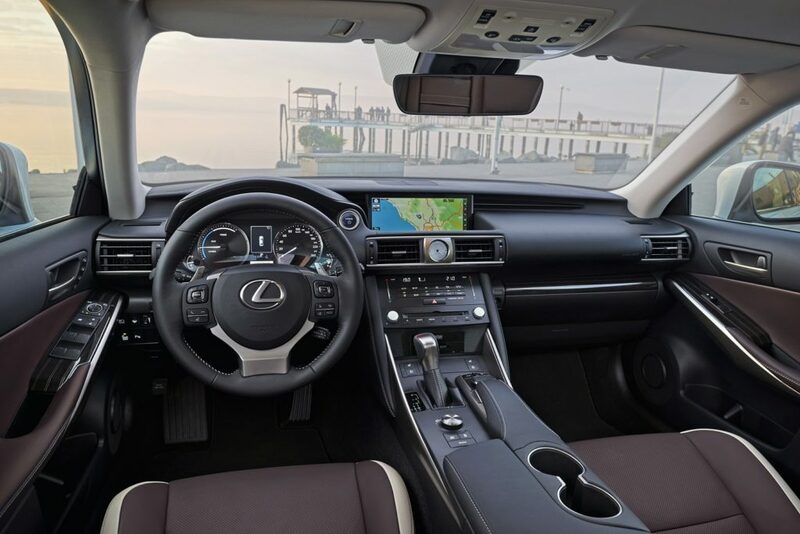 The materials used in the cabin are of the highest quality and Lexus has upgraded some for this face-lift, giving the driver and passenger a very classy environment to be in. The exterior design is a real talking point. It is a very edgy, forward-looking shape – a drastic departure from the more conservative and clean efforts from German brands, and even Britain’s Jaguar XE. The body is pinched and in some places, the metal looks slightly folded; it is a real stunner but it is bound to divide opinions. Some will love it, some will not. There is no need to worry about the overall build of a Lexus, that’s for sure. Every part of the new Lexus IS feels incredibly well made and reassuringly solid. The entire car oozes the quality you expect from a luxury brand, and Lexus often comes out at, or near, the top in customer satisfaction surveys, so there is peace to be found there too. Equipment is an area where Lexus is attempting to outgun its opposition by offering a small options list, and strongly equipped trim levels. Instead of buying a car and adding expensive options to it, Lexus instead believes buyers should pick the trim level that suits them best. All new Lexus IS models come strongly loaded with equipment. Navigation – now available on a larger touchscreen than before – climate control, new clear-cut LED headlights, and seat heating are all luxury touches to expect in this new Lexus. The automaker has upgraded its safety equipment package also, though, with blind spot monitoring and cross-traffic sensors proving very useful on our test drive on the Autostrada and in tiny Italian villages north of Rome. Pound for pound, Lexus is keen to point out that its cars represent the best value, saying that its rivals offer similarly specified cars at a much greater price. However, this system that it has chosen to pursue does eliminate a certain amount of customisation. One of the new Lexus IS’s most prominent feature is its drive select mode. This allows you to flick between settings like Eco and Sport to tailor your driving experience. Characteristics of the car are altered according to the mode, and there’s even a setting for driving on snow and a mode for driving on battery power only. 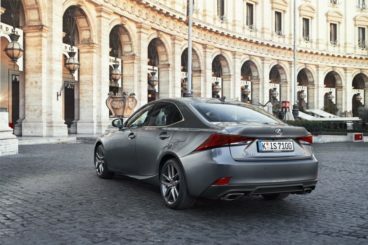 The new Lexus IS is expected to be quite popular with fleet buyers due to its low emissions and better BIK rates. Lexus thinks as much as 50-60% of total UK sales will be on fleet, so business rates for this car should prove good value. Indeed, we found a 300h Sport model – as tested – for under £250 a month with six months of upfront rental. Though undoubtedly a good price, the contract is business owners only and with a limited mileage of a tiny 8,000 miles a year. For personal buyers, getting a good monthly price is far more difficult. You will be lucky to find a trim level above the entry ‘SE’ for under £400 a month with six months up front once again. 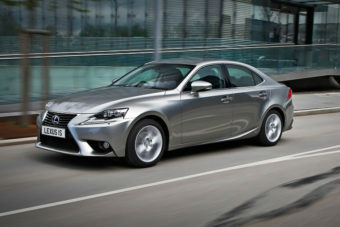 Simply put, you will need a much larger deposit to get a new Lexus IS into the more reasonable £250-300 a month range. Looking at future costs generally, the new Lexus IS 300h petrol-hybrid should prove to be the best car in terms of residual value because it is slightly more future proof. It is going to be a talking point, we are sure, but the world is better off for daring designs like this, and it makes the new Lexus IS really stand out from the crowd. It is unmistakable, unmissable, and that’s why it is definitely a good thing. At first, you will have to get used to hearing some new sounds from your hybrid unit, that is if you have never driven one before. The whirr of the electric motor and linear sound of the engine can be a bit strange, but it is so subdued in the cabin. When taking it easy, sitting back on a long drive, the new Lexus IS is a real oasis of calm. In its own unmistakably Japanese way, the interior of the new Lexus IS is even better than ever and is a delightful place to spend time. Use of materials and finish are absolutely lovely, and the analogue clock in the centre of the uniquely shaped dash is a nice touch of class that is impossible not to like. Lexus has built a comprehensive infotainment system into the car, with all the tools you would want and expect. It is just a little bit tricky to handle and isn’t something you can just jump into and explore. It will take a bit of getting used to. Lexus likes to say that the new IS provides a sporty drive, and to some extent it does. It grips well in corners and the steering is sharp, but the automatic gearbox just doesn’t lend itself to spirited driving. There is no sensation of going up through gears or even exploiting the engine. Even the flappy paddles seem a bit pointless. For some people, this isn’t an issue at all, but for others, it might well be a deal breaker. People like to stick to what they know sometimes, so the complete absence of diesel engines may put some buyers off altogether. We’d say drive the hybrid before you rule it out, but, hey, there are a lot of great diesel saloons out there. So, we know now that the new Lexus IS shaping up to be a strong contender, but let’s compare it to its rivals to seek out the differences between these desirable compact saloons. Here’s an interesting clash. 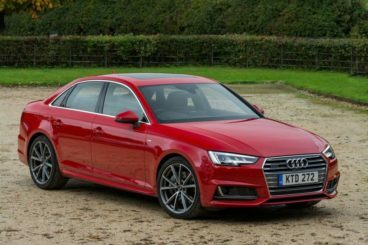 The Audi A4 had a bit of a face-lift not all that long ago, and it is a huge rival for the Lexus IS because it is a product people know well and aspire to. Next to the new Lexus IS, it looks rather shy with its conservative design only enhanced by little touches in the light clusters. It is inside where it really stands out. Audi interiors are at, the moment, some of the very best on the market – and with the new Virtual Cockpit and intuitive infotainment system, it really has an edge on the Lexus. That said, the Lexus is the one that feels more special. It is rarer, and far more striking than the Audi, it is just a shame it doesn’t quite feel as good to drive. The Lexus’s gearbox is less rewarding than the Audi equivalent, and the steering – while sharp – has less feel. There is a huge difference in character between these two cars, and it doesn’t just start with the looks. Side by side, these two cars are about as different as you can get in the same segment, with the Jaguar looking utterly generic alongside the angular Lexus IS. It’s equally as different in the driving experience, with the Jaguar XE delivering on a promise of sporty handling and offering a very rewarding driving experience. A big part of that is its excellent 8-speed gearbox and sharp handling, it feels far lighter and agiler in corners than the Lexus IS. The Lexus still feels more special than the Jaguar, just like it does with the Audi too, but Jaguar and Lexus have clearly gone in different directions here. 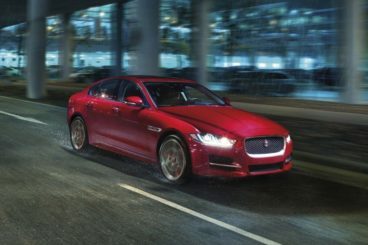 Jaguar pursues BMW for the sporty saloon title, while Lexus is closer to chasing Mercedes for the comfortable cruiser title. The new Lexus IS is a very serious proposition for buyers looking for an extremely good saloon. It’s hard to call it the best because of the strength of its rivals and some features we just can’t warm to. The ECVT gearbox makes sense for the job that this car will be doing 80 percent of the time, but when the time comes to enjoy a fast drive, it falls far short of the standards of its rivals. If you’re looking for something comforting, relaxing, and something a little bit special, then the Lexus IS could really be a car for you. If you are at all worried about jumping from one luxury brand to another, it’s worth remembering that Lexus has one of the most impressive customer satisfaction ratings in consumer surveys.